Risotto is a risograph design and print studio based in Glasgow. Risograph printing achieves similar rich spot colours and ink textures to that of screen-printing, but at accelerated duplication speeds and at a fraction of the print cost. This process is perfect for graphic arts applications such as posters, invites, zines, print editions, and postcards. Services provided are Risograph printing and finishing, artwork manipulation, design for print and design commissions. Depending on the scale of the job, next day printing is offered. For larger jobs that require finishing, leave 5 days for turnaround. Each job priced individually, the best way to obtain a quote is to email the studio. No previous knowledge required. Workshops are offered. Risotto is a print and design studio which specialises in Riso printing. 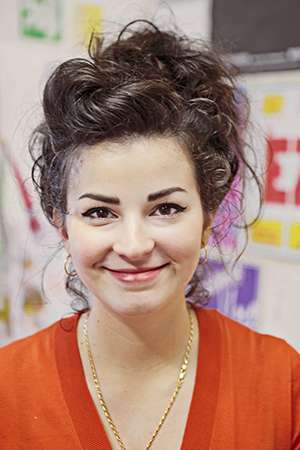 It was set up by Gabriella Di Tano after winning the Deutsche Bank Award in Creative Practice 2012. The studio hopes to provide a useful resource for independent publishers and artists, whilst also specialising in design projects for clients within the arts and culture sector.